London, England – Ethereum Sweepstakes – The Ethereum Sweepstakes is proud to announce the addition of early bird bonus draws for Ethers worth thousands of dollars for participants who enter before May 1, 2018. According to the organizers, in addition to the monthly draw of 2 Ethers, all participants who enter the Ethereum Sweepstakes before May 1, 2018 will have a chance to win 20 Ethers. To be eligible for any early bird draw, you must have purchased a SWEEP Token or SWEEP Participation prior to draw time. Monthly bonus draws will occur on the 1st of each month at 12:00 UTC. and same time for the May 1 early bird draw. The winners and Monthly draw information will be published at https://ethereumsweepstakes.io/donations/. We have received many comments in regards, to the long one-year Ethereum Sweepstakes time frame. Our new monthly draws now provide SWEEP Token holders increased odds of winnings and a chance to win every month. Winning any early bonus draw does not preclude you from winning any other prize draws. So, purchase now for better odds and start winning more. The Ethereum Sweepstakes is the largest single jackpot and best odds in history, with a limit of only 4 million SWEEP Tokens available. 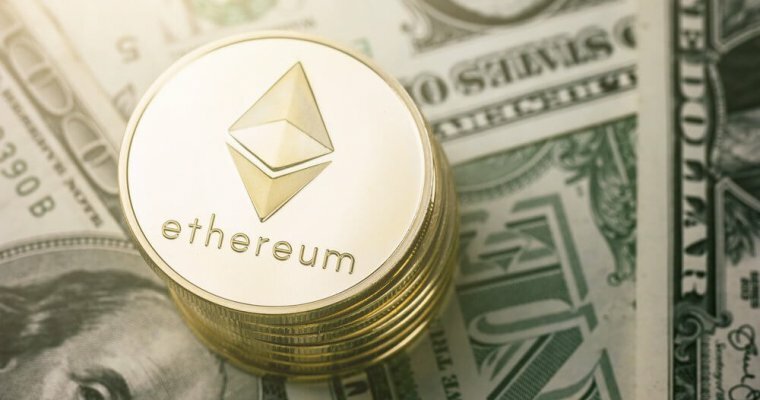 In addition, the Ethereum Sweepstakes provides for the largest number of prizes, a total of 111,111 prizes totaling 2,250,000 Ethers or the equivalent to $2.8 Billion US. The Ethereum Sweepstakes will declare one Jackpot winner and the winning prize of 1,500,000 ETH will be automatically transferred to the winner or winners if group play is the winner, no claims, no deductions whatsoever and the best odds of winning, 1 chance in 4 million. The same goes for the other 111,110 prizes, which provides 1 chance in 36 to win a prize. In comparing many Government run lotteries and Sweepstakes, the Ethereum Sweepstakes offers the best jackpot, the best odds of winning, and the largest number of prizes. In addition, the Ethereum Sweepstakes was developed and deployed on the blockchain making it the most transparent and fair play Sweepstakes and Lottery in the World. The Ethereum Sweepstakes is not a company, it is a smart contract developed and deployed on the Ethereum blockchain. The principles are simple, to participate, a person sends one Ether to the Ethereum Sweepstakes smart contract and receives a SWEEP token, the ticket equivalent on the blockchain. Each SWEEP purchased is equal to a chance to win. Upon the last SWEEP being sold, the smart contract sends a request to the blockchain to select a random winner and the winner of the Jackpot is selected and Ethers automatically transferred to the winner’s wallet address holding the SWEEP token. Once the Jackpot of $1.9 billion has been transferred, the 10 additional prizes of 15,000 ETH each or the equivalent of $19 million US are selected and so and so on until all 111,111 prizes have been paid. The best example when comparing the Ethereum Sweepstakes to a Government run Lottery is the US Powerball, which offers large Jackpots, but the odds of winning the Jackpot are 1 chance in 292,000,000, and where there can be multiple winner or no winners at all, and the Jackpot is paid over a 29-year period and whereby the winner is required to claim their prize in person. Naturally, they claim the prize and ask for a lump sum payment, but it also means cutting the Jackpot in half and then pay the taxes associated with it and you are left with the unluckiest of the luckiest person and only a quarter of the prize money. What could $1.2 Billion US buy you? Visit www.ethereumsweepstakes.io to participate. Please read the terms and conditions, rules, and how to play carefully. Do not participate from a brokerage and or exchange wallet or you will not be able to receive your prize. Make sure to back up all your private keys and passwords, you wouldn’t want to lose $1.9 Billion US. Some jurisdiction may not allow the participation of their citizens to the Ethereum Sweepstakes. Good luck to all and most of all spend your winnings wisely!